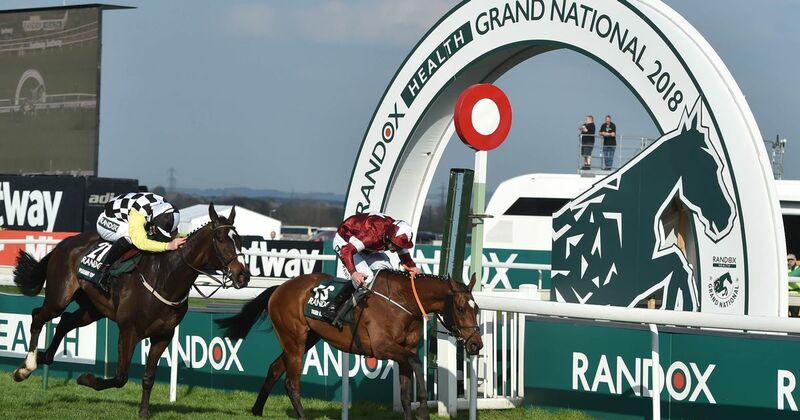 By now most horse racing fans know that the next big race on the calendar is the 2019 Grand National. Scheduled for Saturday April 6th at 5.15pm, it is the biggest race in Europe with a million pounds up for grabs. Tiger Roll, last year’s winner, is still on excellent form. A win in the Glenfarclas Chase at the Cheltenham Festival last week propelled him to the top of the odds market where he is now as short as 5/1 to win the Aintree spectacular – again. But, as in every race, nothing is a sure thing. This year Tiger Roll will have just as much competition and from some unlikely sources. Vintage Clouds and Lake View Lad, both owned by Trevor Hemmings, did very well to finish second and third in the Ultima Chase and Anibale Fly ran the race of his life to finish runner-up in the Cheltenham Gold Cup. But it’s the Grand National runner Ms Parfois, who looks like she could give Tiger Roll a run for his money. The eight-year-old mare may not look like the whole package but scratch beneath the surface and her credentials start to speak for themselves. From nine chase starts, she has won or placed in eight of them. She has only been chasing for 18 months but in that time she has won at Cheltenham, Newbury and Warwick. At which point she then stepped up in distance. Her first four miler was at the Cheltenham Festival last season where she was second in the National Hunt Challenge Cup. She then headed to Aintree for the Mildmay Novices Chase placing a worthy second. She then had a wind operation and made her seasonal return at Newbury in December for the Ladbrokes Trophy Chase. By his own admission, trainer Anthony Honeyball said she wasn’t on the best of form heading into the race. She still finished in sixth position. But it was in the Midlands Grand National at Uttoxeter at the weekend that Ms Parfois really stood out. Leading from the off, she went toe-to-toe with Potters Corner for most of the race. Run on heavy ground, nothing fazed her. She jumped well, ran well and no point looked like she was ever struggling. Potters Corner had a little more in the tank for the run-in but that doesn’t detract from Ms Parfois’s effort. Grand National winners have plenty in common. They are consistent and rarely ever fall or unseat their jockeys. Ms Parfois has a perfect finishing record. She has never even pulled-up no matter the race distance or conditions. She has proven stamina and experience at Aintree. Which are also important factors to consider.Would it be better if she had a couple more runs under her belt this season? Yes. Does she need the going at Aintree to be on the softer side for the Grand National? Yes. And yes, she is a mare. But she will be carrying as little as 10-02 on the day which is big plus. She was 33/1 for the National win and now she is around 25/1 so there is still a huge amount of value in backing her for the each-way bet.